Altered Alchemy : everything arrives! 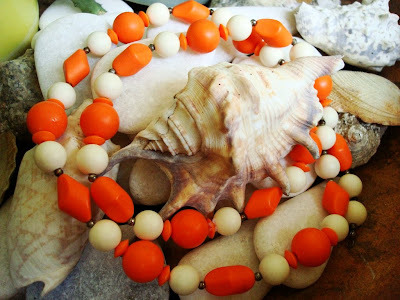 this first one is from tali's giving game where everyone who commented on her post would receive a secret gift from the person who commented before her :) this beautiful necklace came from jennifer coleman of the 3 maries :) such striking colors! hey!! can i enter this for "orange" challenge :)) lol!! but gosh...thank you so much for this wonderful gift! and this keychain ... finally arrived! 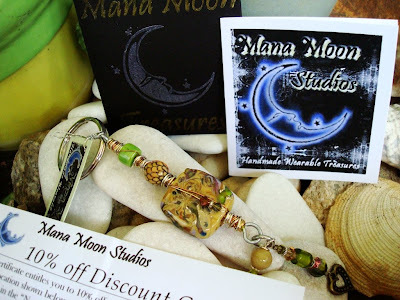 from sharon of manamoon studios :) a giveaway i participated on sharon's blog to celebrate her 100 followers :) yes people ... 100 followers ... actually 120 the last i checked! i was quite miffed at our customs for holding this keychain for like 2 weeks!! what in the world did they think it was ... some weapon? and to inspect it for 2 weeks??? arghhhh!! but thank goodness it arrived safely and in perfect condition! i must tell you i cannot stop looking at it and fiddling with it. it's just so beautifully made and the beads are so gorgeous! thank you so much sharon for this wonderful giveaway! and did you all spy the 10% discount voucher ^-^ muax!! 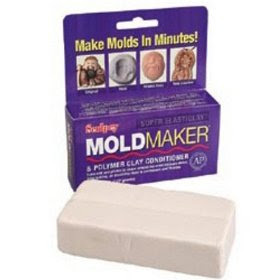 so ...after you've made your mold, just stick it inside the oven like any polymer clay stuff, it'll cook and wallah! you have a mold. it feels pliable but tough :) quite cool i must say. 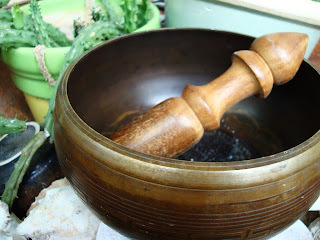 with this new weapon in hand i was able to make a mold of a buddha from this antique singing bowl of mine ... i use this bowl to cleanse my crystals. gorgeous bowl isn't it! it's actually quite eroded from use, which is so cool! 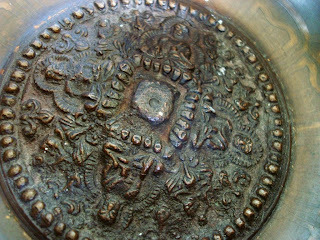 just look at the details inside the bowl ... old, worn and beautiful! and the result of sculpey mold maker and this singing bowl? Ah! 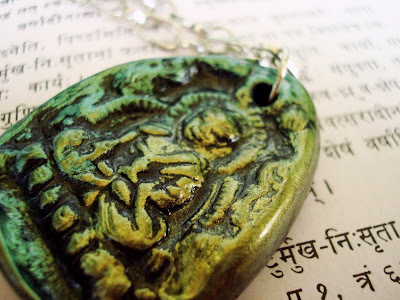 The pendants are gorgeous, and the source simply divine. you are just delving deeper and deeper - how wonderful! the buddhas are incredible... a real favorite of mine anyway but these are so nice... funny, it was only a short while ago you decided to give polymer a 'try'... now look at you! i have to get back to it.. i have molds waiting on my stove from about 3 weeks ago! Lucky lady! I love packages with goodies in them. How fun! 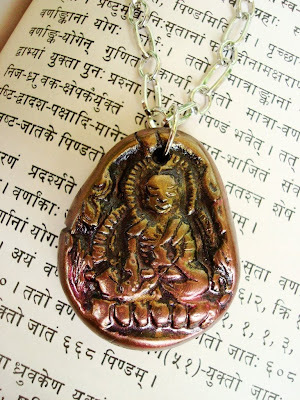 Th buddha pendants came out very nice. I love the singing bowl. How neat! I love etsy!!! 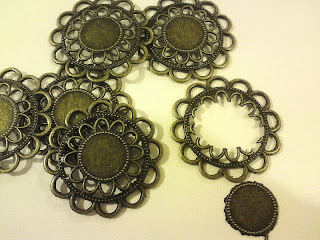 Your pendants are just stunning! Love the color choices as well. Good job on making such beautiful molds. I think your Etsy buyers are going to just love these images. I too am very impressed with how far you have come, so quickly! thank you very much for the sweet comment! thank you :) lol!! yea... i'm no moderator am i :P oooo ... what molds?? thank you :) yea... it quite nice when the goodies all come in :) it's just like christmas! hahaha! !